Michael Douglas says his family's fame and history of substance abuse helped drive his troubled son into drug addiction and crime, and the Academy Award-winning actor is asking a judge to show leniency toward him. "I love my son, but I'm not blind to his actions. ... I don't want to see him break," the actor told the federal judge in a handwritten letter made public Monday, on the eve of Cameron Douglas' sentencing in a drug case. The five-page letter, penned in an elegant script, joins others written to the court by Cameron Douglas' high-profile supporters, including grandfather Kirk Douglas, stepmother Catherine Zeta-Jones and NBA executive Pat Riley. 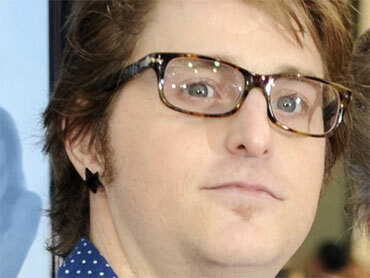 Cameron Douglas, arrested in July at a Manhattan hotel, admitted in January that he dealt methamphetamine and cocaine. He pleaded guilty to a drug charge that carries a mandatory 10 years in prison, but his lawyers and supporters are arguing for less time. A defense lawyer and Michael Douglas' publicist didn't immediately return telephone calls Monday evening; prosecutors declined to comment. In his letter, Douglas paints his son's problems as the product, in part, of a privileged but difficult childhood, a family legacy of drug and alcohol problems and the long shadow cast by a family of screen icons. "I have some idea of the pressure of finding your own identity with a famous father," wrote Douglas, who starred in "Wall Street" and whose father Kirk starred in "Spartacus." "I'm not sure I can comprehend it with two generations to deal with." As the only child of a "bad marriage" between an often absent Michael Douglas and his first wife, Diandra Douglas, "Cameron found his family in the gang mentality," his father wrote. He said his son developed a substance abuse problem at 13, sloughed off at school and balked at the idea of rehab unless it was legally required. Cameron Douglas eventually found some success as a club DJ and got some movie roles, including one in 2003's "It Runs in the Family," starring his father and grandfather. But he spiraled into a heroin addiction and, according to his lawyers, began dealing meth in 2006 to support himself after being cut off from the family fortune because he wouldn't get treatment. Citing genes and family as factors in substance abuse, Michael Douglas points in his letter to relatives' drug and alcohol problems, though their names have been redacted. Douglas has said he was treated at an Arizona clinic for alcohol abuse in the 1990s. His half-brother, Eric Douglas, died in 2004 of an accidental overdose of alcohol and prescription pills after years of struggling with addiction. Douglas wrote that he has cherished weekly two-hour visits with his son over the past eight months at a Manhattan federal jail. With his son behind bars but sober, "I get to witness the wonderful young man he can be," he wrote.